With the return of the Spring weather here on the seacoast – I’ve found myself venturing out of my routine a bit more regularly. Maybe with enough practice I’ll have a new routine…this particular afternoon brought me across the river to Maine in search of a chocolate cake, which I was able to find at Golden Harvest. 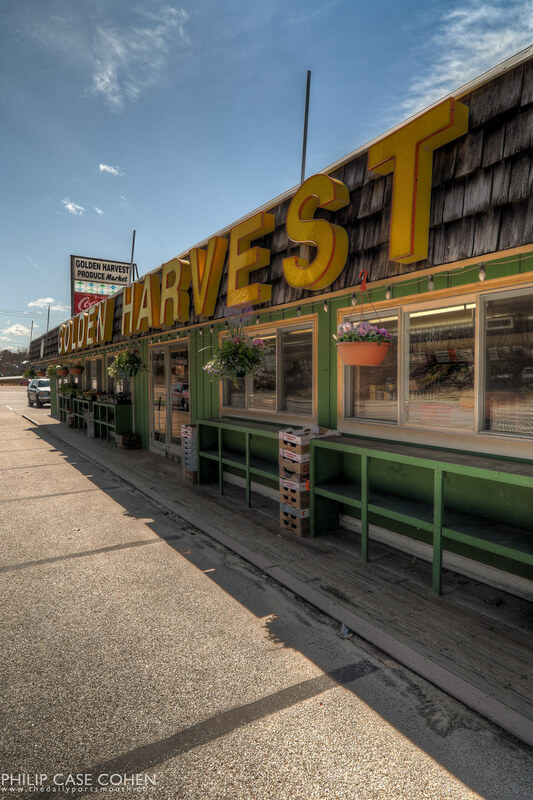 As I’m sure many already know – this is one of the seacoast’s true institutions when it comes to groceries and fresh food. I remember first coming here as a little kid with a friend’s mom on summer vacation and hating the fact that I was sitting outside staring at a bunch of vegetables. Fast forward 20 years and here I am picking up some fruit for lunch, some cake to deliver as a surprise…and the character of the building is still very much true to itself. Something I’ve always appreciated about this spot…go check it out sometime and grab some food for a picnic at your favorite outdoor destination.